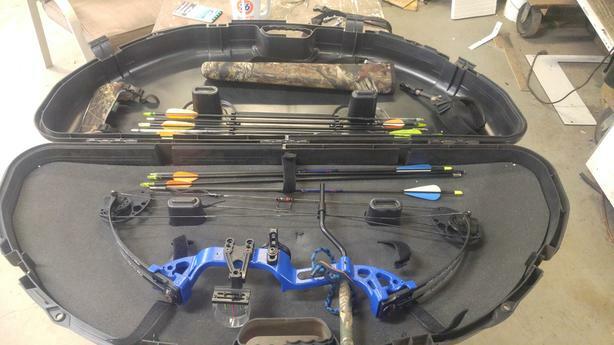 Selling as a complete kit including ..
Used for one season of lessons at the rod and gun club. Never dry fired or used as a toy. Hasen't been out of its case for 2 years. Stored in closet indoors. Can't remember what the draw weight is but is adjustable.